Do you use annotation scaling? Annotative objects can be dragged. This allow us to see it on different place, at different scales. This is necessary when we have many objects. This will prevent annotation from blocking other objects. This example below shows a material finish tag. It is an annotative block, set for 1:50 and 1:100. If we click it, we can see the ‘ghost’ block that will apply for the other scale. You can click the blue square grip to move the annotative block at current scale only. You can see how it works clearly in controlling annotation scale tutorial. I found that this feature is not working when we use alignment parameter in dynamic blocks. If you are not familiar with it, see my post on Daily AutoCAD about using alignment parameters. The problem is we have to place alignment parameter at block base point. If we don’t, it will not work during block placement. But the alignment parameter will block the placement grip, and we won’t be able to select it. As far as I concern, there is no way we can select the placement grip when we have alignment parameter at the same place. We have to move the alignment parameter to somewhere else. Pro: We can have access to placement grip. And we can access the alignment grip after placement. Con: Alignment parameter doesn’t work during placement, you have to place it first. Then click the alignment and drag it to position you want. Nested block is block inside a block. You can create desired block without alignment parameter, then create a block using that block. We add alignment parameter at the second block. This will allow the alignment parameter to work during placement. After we place it, explode it. Because the second block doesn’t have alignment parameter, we can access the placement grip. Pro: Alignment parameter works during placement. We can also access the placement grip. Con: After we explode it, the alignment parameter will not work. I’m not sure if there is another way to select the placement grip. I think we have to choose which one is more important. Create a nested block, the annotative block inside aligned block. If you only need the alignment parameter to work during placement, then nested block is a better way. Do you ever encounter this situation? What’s your solution? 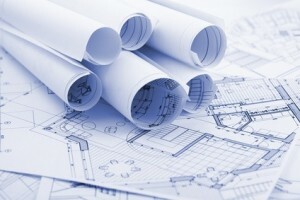 AutoCAD layout brings many benefits. 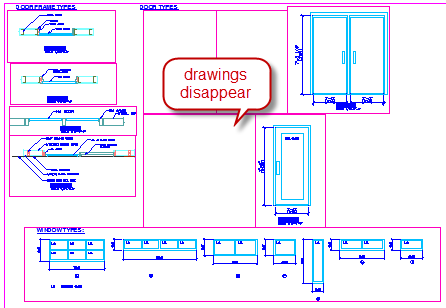 It simplify, represent, manage and automate your drawings. See 10 reasons why you should use it here.